After hanging a few days, there’s barely space left on the flypaper. It took a few weeks for the flies to build from occasional guest to pest to plague, but by the one-month anniversary of Irma, they were everywhere. What caused this outbreak, and when will it end? In nature, sudden changes in the population of a plant or animal are often linked to unusual conditions. Usually it’s a bad sign. Deer populations get too high when there are no wolves to hunt them. Seaweed grows out of control if there are too many nutrients in the water. 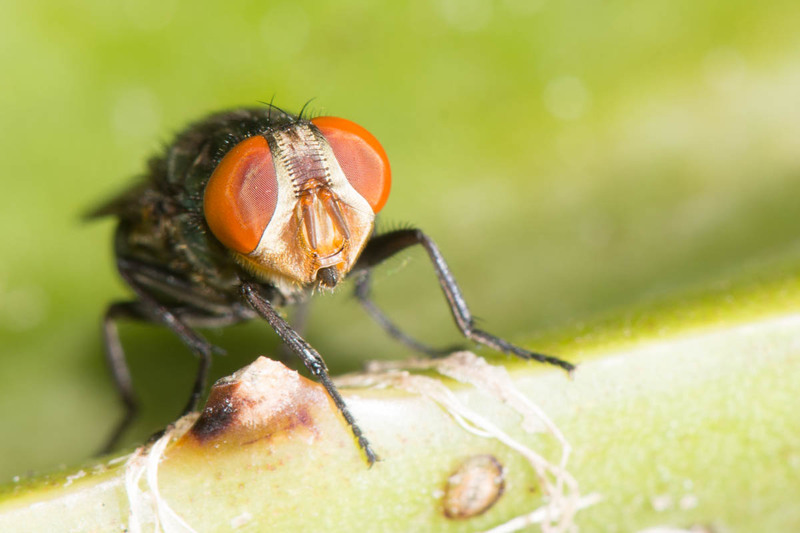 Flies begin their lives as larvae—often called maggots. Like caterpillars, they are eating machines. 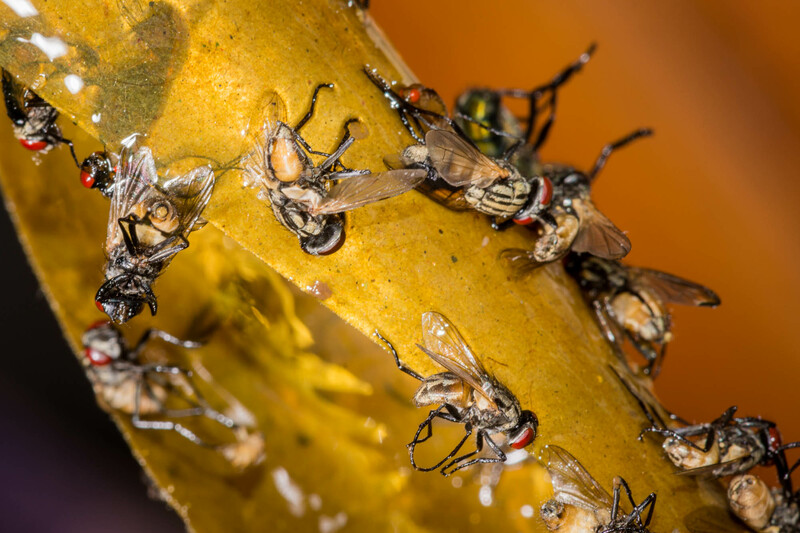 Young flies eat all sorts of things, depending on the species. There are poop-eaters, garbage-eaters and carrion-eaters. Common Housefly larvae eat all three, so it’s not surprising they are perhaps the most plentiful right now. Clean-up takes all kinds of flies. After Irma, the island was covered in fly food. 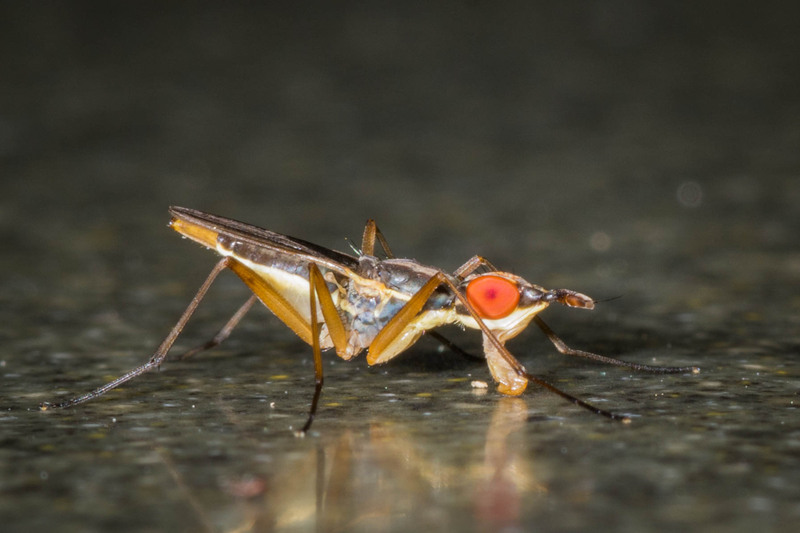 When we think about the fly life cycle, the surge of flies a few weeks after the hurricane makes a lot of sense. For about two weeks, the larvae were eating and growing. Then they spent a week as pupae, transforming into adult flies. The sudden creation of all this fly food at once was like a ticking time bomb. Looking back to the days just after Irma, each adult female fly was probably laying hundreds of eggs. Millions of flies were growing for weeks, hidden in the piles of trash. We only realized their full numbers when they emerged as flying adults. Though they may be annoying, the flies actually serve a very important purpose. They have been consuming garbage, poop and dead animals at an incredible pace. By doing so, they help return nutrients to the soil while also making our grossest garbage disappear. They may seem like a plague in the kitchen, but they are also our saviors in the trash pile. And they won’t be here forever. As they do their part in the island’s recovery, they prepare for their own decline. After exploding in numbers to eat a year’s worth of garbage in weeks, their population will ebb as soon as the problem is fixed. Of all the aid workers on the island in the past few weeks, flies have done some of the dirtiest work. For this I give thanks, while also looking forward to when things get back to normal. Silver lining in all this darkness. I will try to appreciate the mission of a fly.